Here I was choosing the Lucky Bamboo plants at one of the stalls. 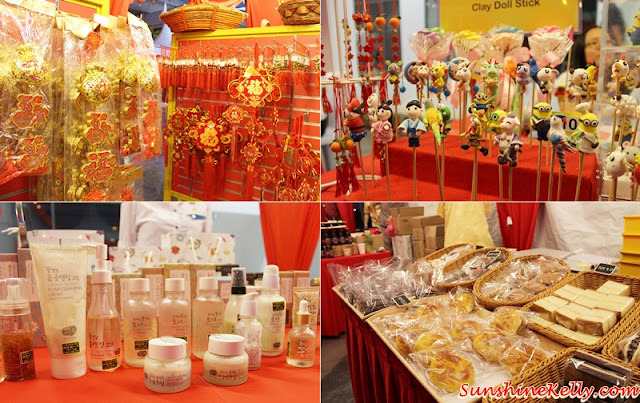 At Da Men Chinese New Year Street Market there were about 20 stalls selling CNY goodies, decorations, hampers, cookies, food and lots more. It was a 2 days outdoor street market on 30th and 31st of January from 6pm to 11pm along the Jalan Kewajipan entrance. Well, this was the Da Men's first ever street market that caters for the whole family. Here was the Charity corner, a carton of Mandarin Oranges for only RM12 instead of RM18. Yes you got me right! It's only RM12 and the sales proceeds will all go into bringing festive cheer to special homes in USJ. I saw many bought the mandarin oranges. Not only that, there were girls and boys going around with their trays selling cupcakes for the charity homes as well. Chinese New Year is also the time to give and bless the less fortunate. Tadah!!! loads of performances happening on the 2 days street market such as Lion Dance, Drum performance, Bian Lian (Chinese Mask Changing), 3-pc Chinese Orchestra, Che Ling (Chinese Diabolo) and workshop, Drum Troop and calligraphy demonstration and many more. Oh ya, for those who make a purchase at any of the outlet at Da Men was entitled for a CNY Lucky Spin, it’s quite fun indeed. 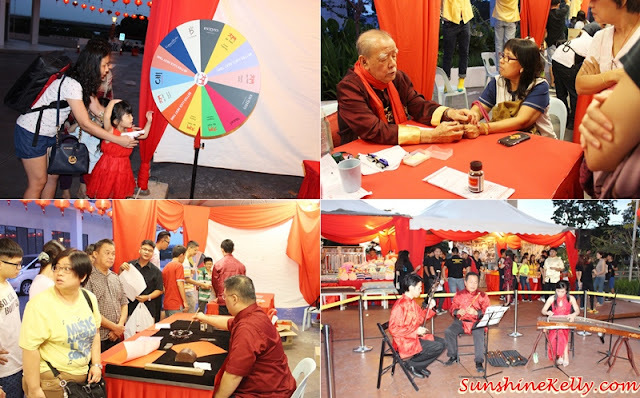 For those who wish to know how is their 2016 they can head over to the Fortune Teller booth and those who wanted to get their calligraphy done then head over to the nest table. We also have Shawn Lee the famous beatboxer performed together with the street dancers. It really spiked up the mood of the night. Address: No. 1, Persiaran Kewajipan, USJ 1, 47500 Subang Jaya, Selangor. can see so meriah...happy CNY kelly! fun day yeah!. has their parking started to pay? been there once, look quite empty still. Moreover its very far for me. WHoa super happening!! Must be fun!! Kelly, nanti share your preparation at home ok. Mesti cantik! Happy Chinese New Year Kelly! For creation fashion no necessary from beginning to end coverage accessible on at this point exceedingly It is faithfulness through good patchiness.